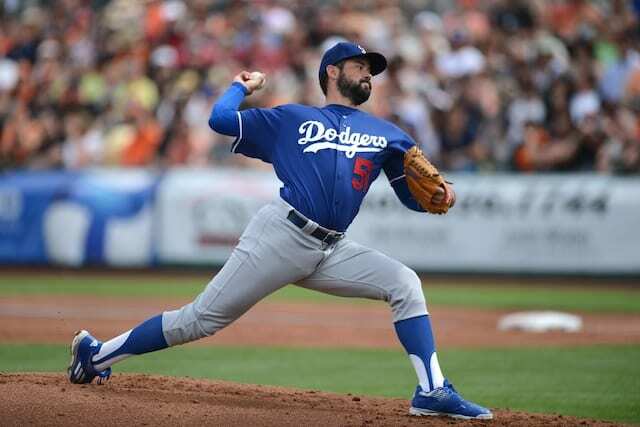 The Los Angeles Dodgers optioned starting pitcher Zach Lee to Minor League camp on Sunday. He allowed four runs in eight innings pitched across three Cactus League starts this year, good for a 4.50 ERA. He posted a 1.13 WHIP and had four strikeouts compared to a pair of walks. Lee made his Major League debut last season, allowing seven runs on 11 hits over 4.2 innings in a spot start against the New York Mets at Citi Field. In 19 starts with Triple-A Oklahoma City, he was 11-6 with a 2.70 ERA and 1.11 WHIP. Jose De Leon and Julio Urias were among the seven players sent to the Minor League side at Camelback Ranch on Thursday. The roster cuts strongly suggest Mike Bolsinger is the Dodgers’ fifth starter heading into the regular season, however he was scratched minutes before Sunday’s start. Brandon Beachy was frustrated after struggling through his start on Friday, and he’s now dealing with a right elbow issue. Bolsinger had a successful month of May for the Dodgers last season, going 3-1 with a 1.05 ERA in four starts (25.2 innings pitched). He slowed in June and July, but was remained somewhat effective (4.40 ERA and 1.47 WHIP in June, and 3.00 ERA and 1.30 WHIP in July). Bolsinger was optioned back to Triple-A Oklahoma City after the Dodgers acquired Mat Latos and Alex Wood in a three-team trade with the Atlanta Braves and Miami Marlins at last season’s deadline. Bolsinger rejoined the Dodgers once active rosters expanded in September. 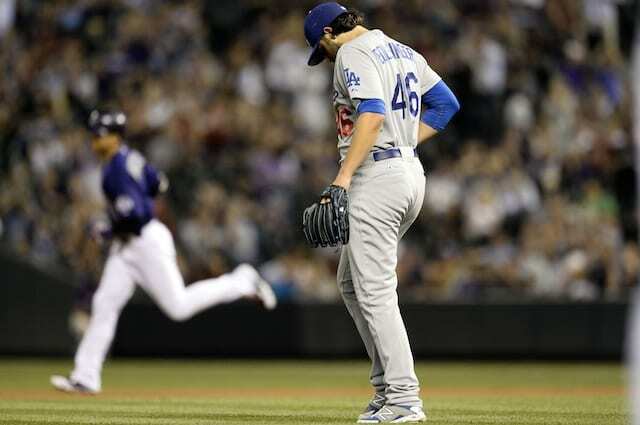 However, he struggled over the final month of the regular season, going 1-3 with a 7.08 ERA, 8.35 FIP and 1.91 WHIP, while allowing eight home runs in five starts (20.1 innings pitched). Bolsinger said recently he’s using the poor September performance as motivation to succeed this season. 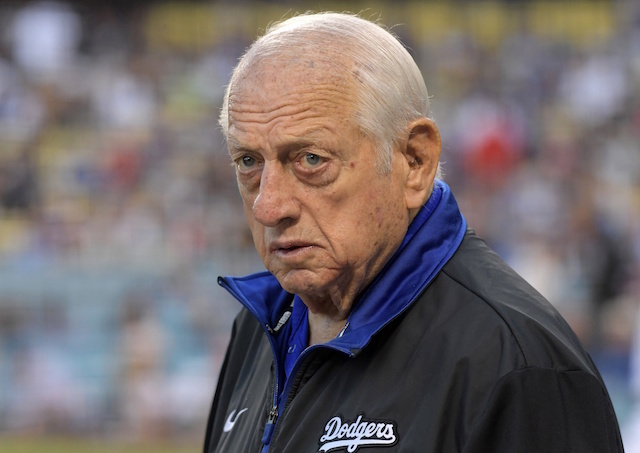 The Dodgers now have 46 players in big league camp, excluding Brandon McCarthy and Frankie Montas, both of whom are on the 60-day disabled list.